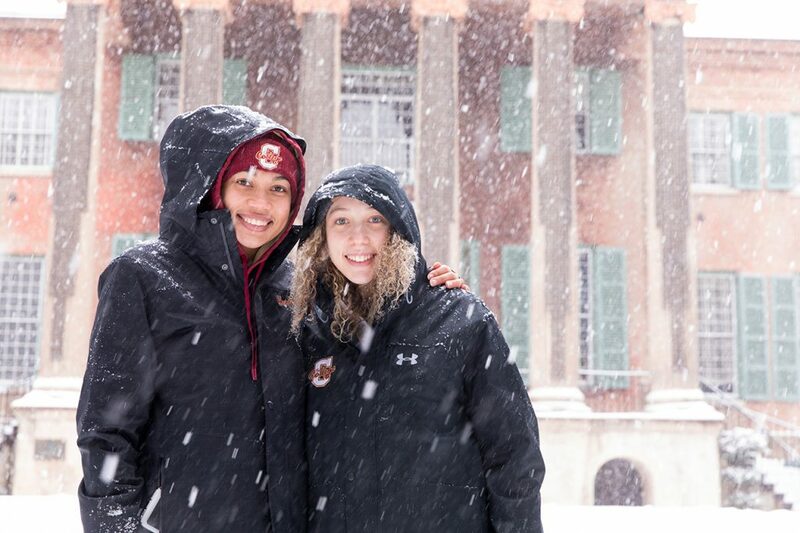 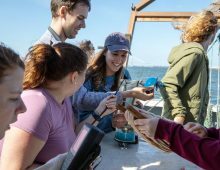 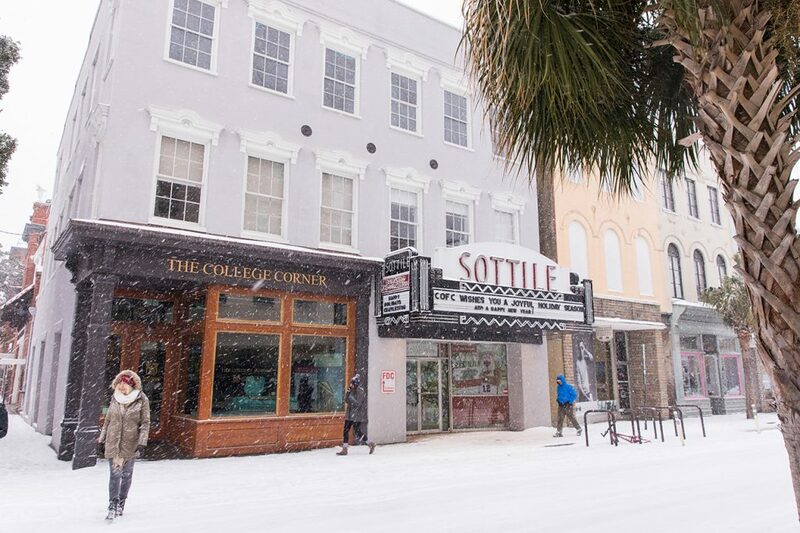 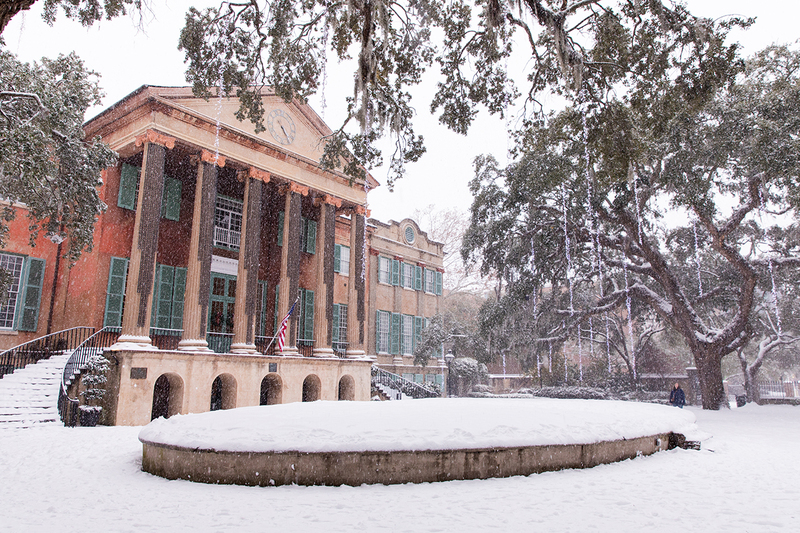 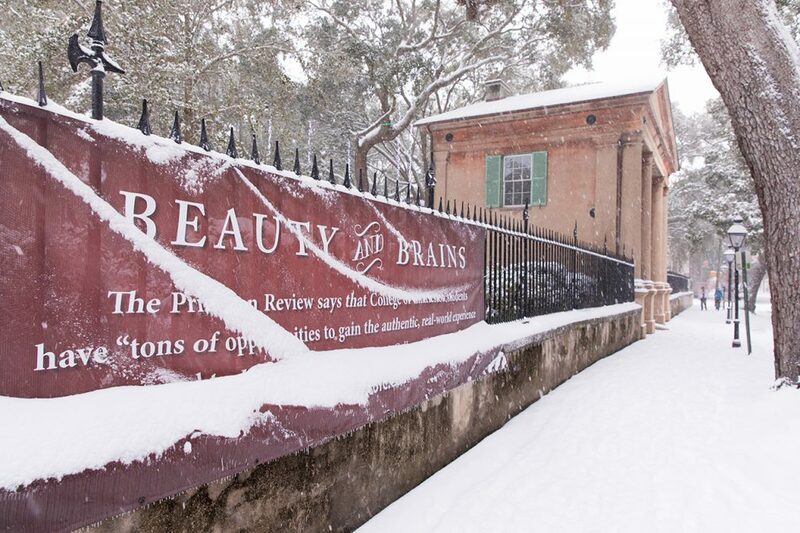 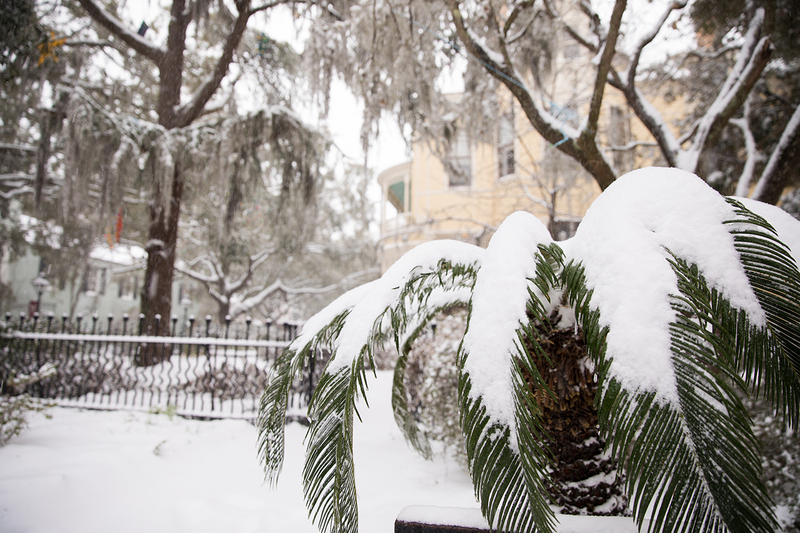 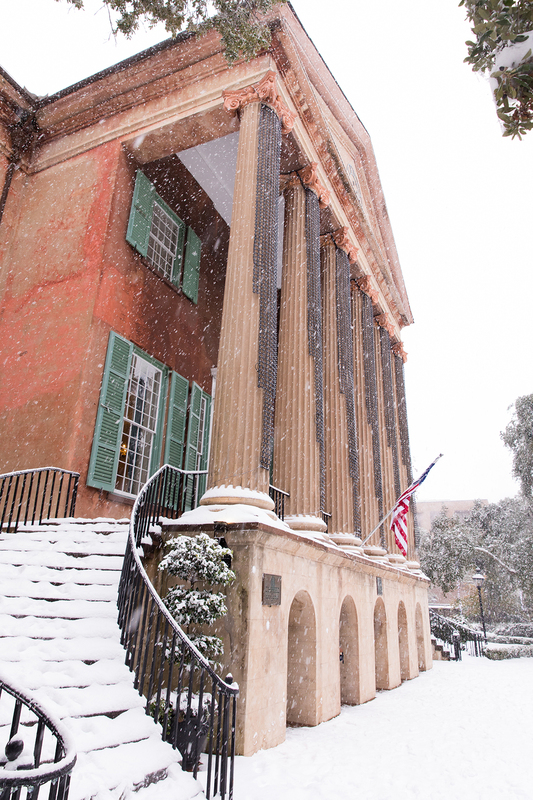 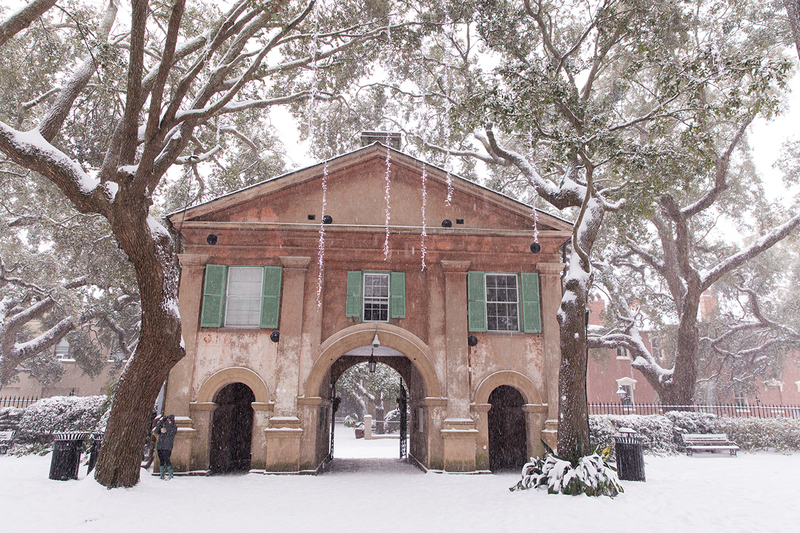 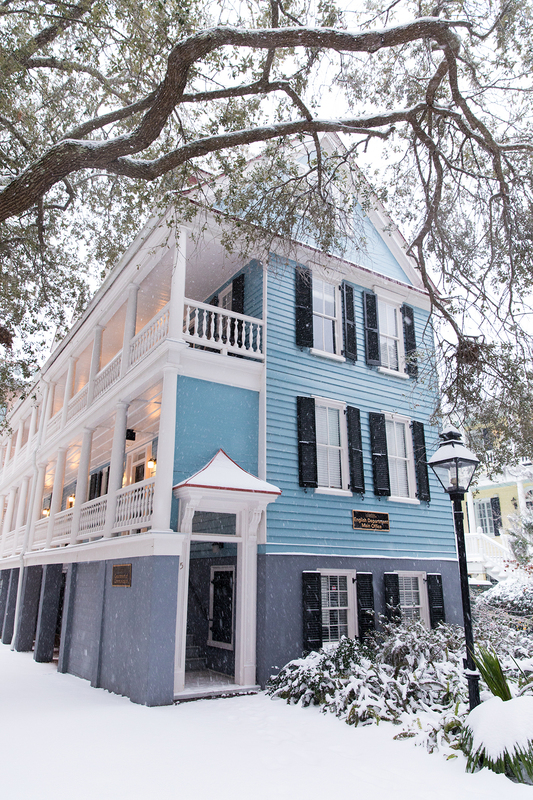 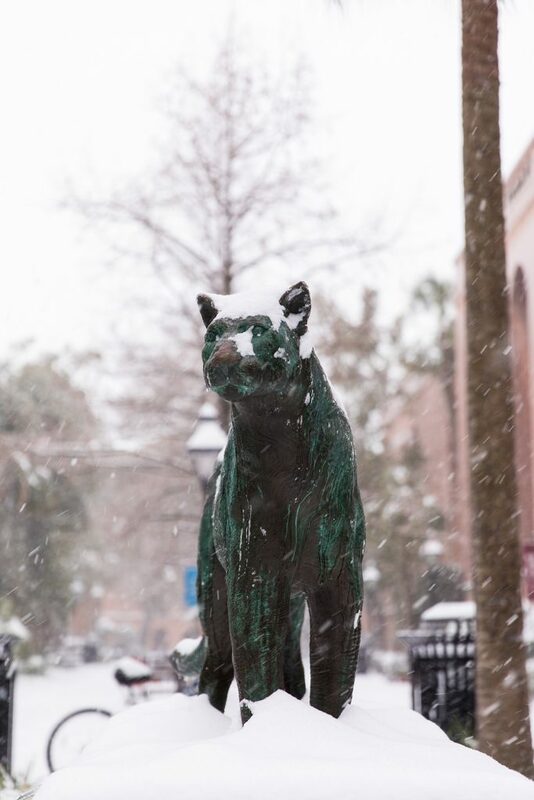 What’s it like when several inches of snow fall on the typically tropical College of Charleston? 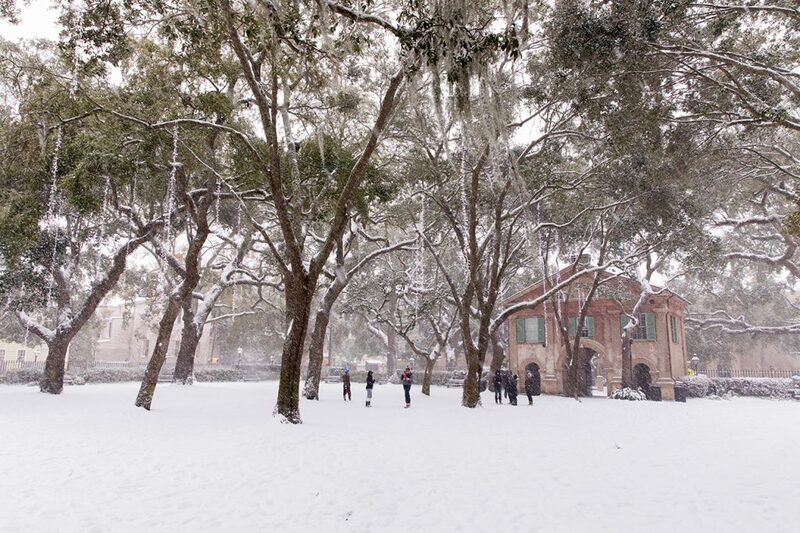 A magical, wintery landscape appears. 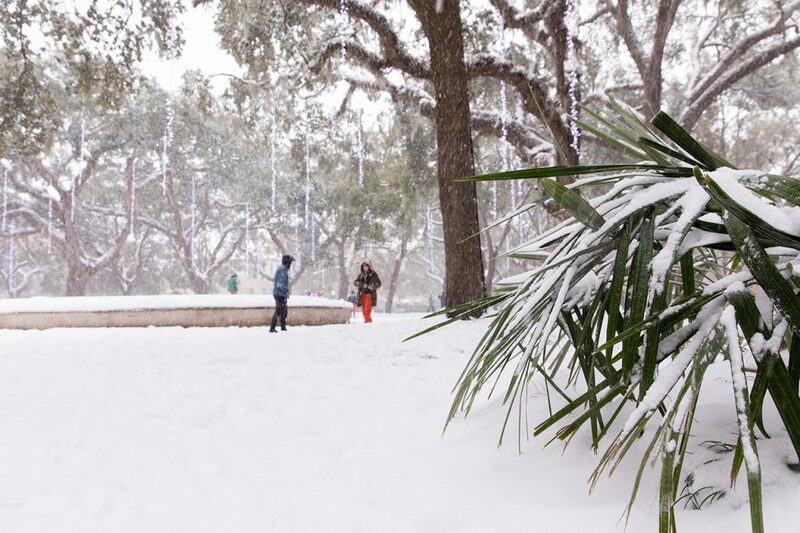 The recent cold snap blanketed the campus in a layer of frost and the results have to be seen to be believed. 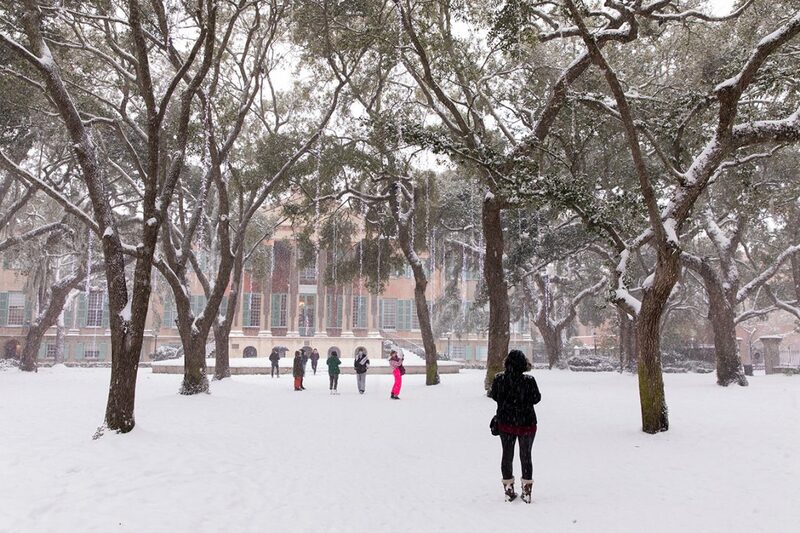 Take a tour through an icy CofC, which is closed for a third day on Friday, Jan. 5., 2018, due to the cold weather. 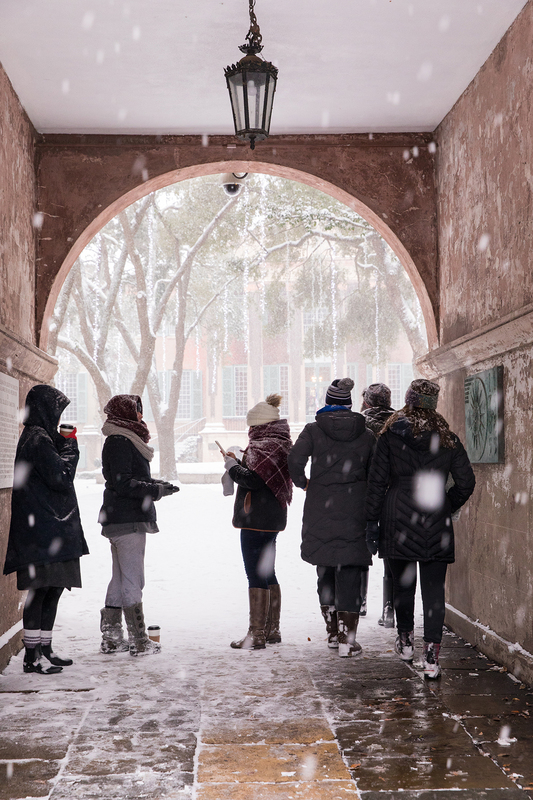 RELATED: Get all the details about the College’s closure and impacted activities due to the severe winter weather. 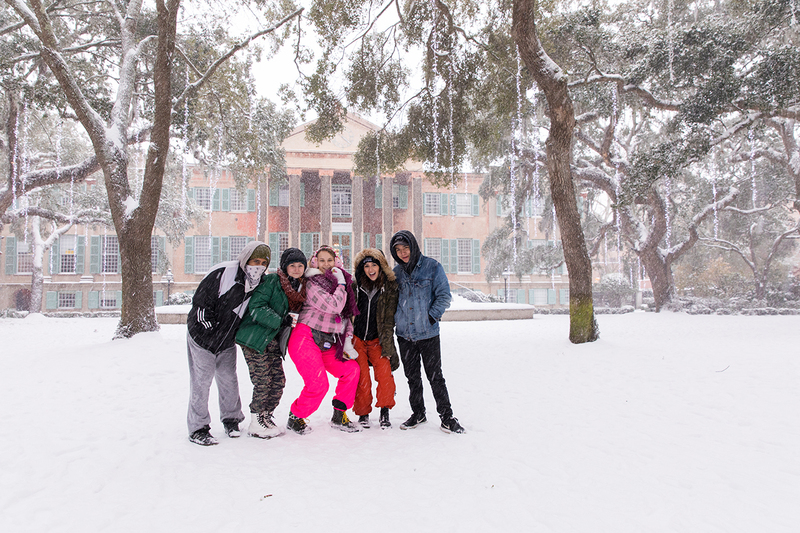 But remember it is forecasted to be nearly 60 degrees again on Monday, Jan. 8., 2018, when spring semester classes are scheduled to begin.